Forget those GoPro videos in which reckless teens dangle from 100-story buildings— this clip of an innocent little terrier running through a busy street will send your pulse soaring. 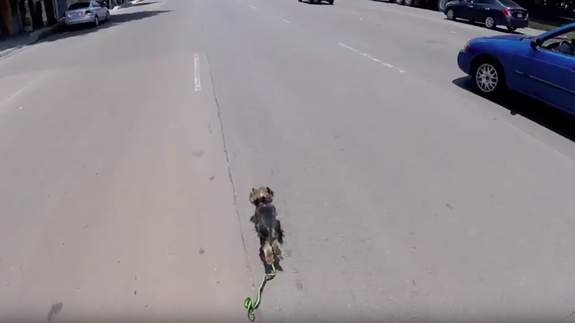 The clip, captured from the perspective of a nearby cyclist, shows a leashed terrier running down a multi-lane road, dodging people and cars left and right. For two stress-inducing minutes, the cyclist follows the dog, desperately signaling for cars to slow down. But don’t worry— this nail-biter has a happy ending.